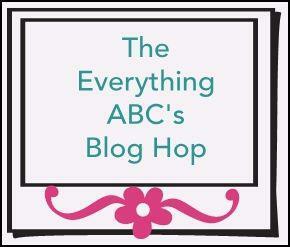 Celebrate Crafts: The Everything's ABC's blog hop letter "N"
embellishment. Whatever the crafter has chosen for their "N" element will be featured in their post. If you have just hopped onto my blog, please start at the beginning at Linda's Blog " Scrappy Therapy"
Your next stop on our Everything ABC'S blog Hop is back to Linda's blog " Scrappy Therapy"
B1420, and for my other "New" item, I used the new CTMH scallop punch for the scalloped edge on the colonial white card stock. I stamped the image and the saying in Barn Red.